A visit to Antarctica is challenging to say the least, which is why we strongly recommend that only experienced people adventure themselves in such rough territories. The climate is harsh, the trip can be dangerous, and just people who are very well trained to go through those conditions can go there. No country owns Antarctica, so we cannot talk about visa policy. However, some countries signed the Antarctic Treaty’s Protocol for Environment Protection, and according to that document, visitors need to ask for permission to take a trip to Antarctica. That permission can be issued by a chain of offices in the world, but the process is not as easy as getting a visa for any other territory. Obviously, you cannot apply online. For the sake of discussion, let’s just say that you want to visit the British Antarctic Territory. Since that particular region is administered by the Polar Regions Department of the Foreign and Commonwealth Office, you need to take a trip to London and submit your application there. However, if you are a US national, you do not need to go all the way there. There are offices in multiple locations in the world (in the countries that signed the protocol). Usually, if a state administers an Antarctic Territory, it has an office that issues travel permits for that location as well. For example, as a US citizen, you can refer to the International Association of Antarctica Tour Operator in the USA. 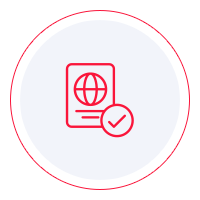 We recommend that you use a tour operator since they know precisely what they are up against, and they can help you get your travel permit with as little trouble as possible. Getting it on your own may actually be difficult, if not impossible because the process is lengthy and implies numerous procedures. Another aspect that is worth mentioning is that when going to Antarctica, the passport requirement is the least of your concern. The fact of the matter is that you cannot go to Antarctica alone. There is usually an expedition that consists of multiple people, typically scientists. There are very few people who go there just for the fun of it. With that being said, there needs to be an organizer. It falls under the organizer’s duties to prove to the issuing authority that all the preparations for the expedition have been made. There needs to be evidence that all things are well thought through. After all, this is the safety of a group of people we are talking about. As you can imagine, iVisa cannot help you get a visa for Antarctica for the sole reason that there is no actual visa for Antarctica. There is the travel permit, but it cannot be issued by other authorities than the ones mentioned above. Of course, a lot of research must be done on the matter before departure, but as long as you go to Antarctica using a tour operator, all things will fall into place. All you have to do is provide some documents and some information. About yourself, as well as about the trip. The important thing is that you now know where to go next.